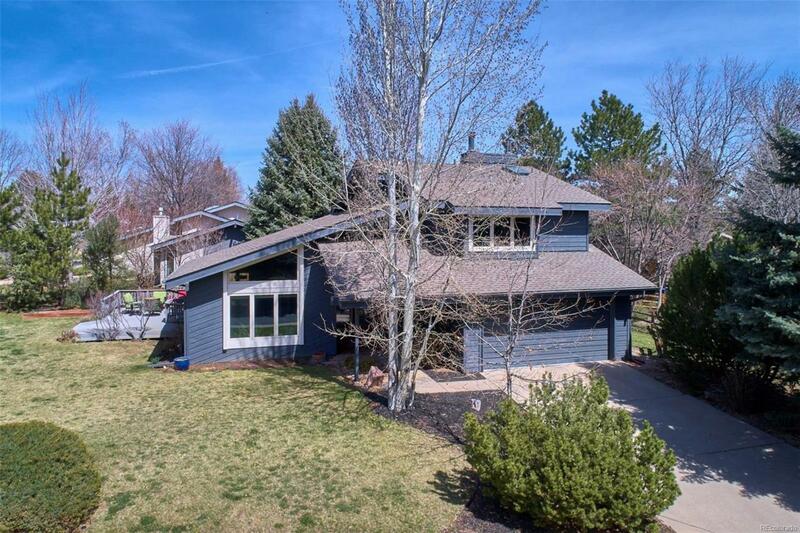 Spacious, light-filled south-facing family home on a 1/4 acre private lot in central Boulder. 3 beds/2 ba up + guest suite & large rec room on lower level. 2 living areas on main, gas fireplace, +separate dining area. Hardwoods on main. Open floor plan. Modern accents. Kitchen SS appliances. New Anderson windows at $42k. LG A/C in master. 2 big storage areas in bsmt. New exterior & interior paint. New hot h20 heater. Large composite deck surrounded by flowering trees for privacy.